The basic ingredient of Montessori Methodology is its Holistic educational approach. Since its inception around 100 years ago by Dr. Maria Montessori, the Montessori methodology is recognized by many as the best way to develop a child. There are many schools all over the world which have adopted the Montessori methodology. 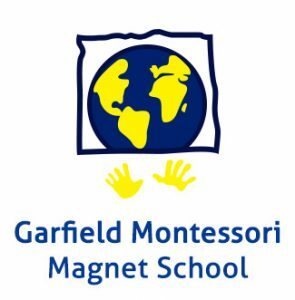 In this article, we will share with you the names of some top Montessori schools of USA. 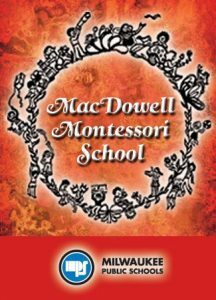 Previously known as the Solomon Juneau Business High School, The MacDowell Montessori School was built in the year 1932. The school is part of the Milwaukee Public School District. For a short time, the school terminated its operations in the year 2006, as a direct result of the decline in Milwaukee’s population. However, the school again restarted its operations in the year 2013. Notable personalities produced by the school include people like Jim Lovell (astronaut) and Pat Curran (football player). You can reach the school at “1706 W Highland Ave, Milwaukee, WI 53233, USA”. Community Montessori is an open enrollment school that lies within the jurisdiction of Boulder Valley School District. It is the only known school in the valley which is providing education to students from age 3 till 11. The school follows the Maria Montessori theory of education in letter and spirit. Community Montessori is a well facilitated school where some of the most professional teachers are teaching. The school focuses both on physical as well as the mental nourishment of the students. The address of the school is “805 Gillaspie Dr, Boulder, CO 80305, USA”. The Countryside Montessori Academy was established back in the year 2002. The school is a well-known one where more than 300 students are getting education. The school religiously follows its Montessori curriculum. The school is committed towards the production of well-rounded, independent, and respectful leaders. The school is a perfect place as far as children’s development is concerned. You can visit the school and see its remarkable facilities at 5852 “Ehren Cutoff, Land O Lakes, FL 34639, USA”. The Washington Montessori School is a practical illustration of child development concepts given by Dr. Maria Montessori. The school is reputed for its encouragement of students to enhance their observational skills. There are several different types of hands-on activities that are held in the school so that observational skills of the students can be developed effectively. The address of the school is “1130 N Euclid Ave, St. Louis, MO 63113, USA”. Breakwater is a nice school that has maintained its educational standard for years. The school is located in Portland and is currently home to around 180 students belonging to different segments of the society. The school has a well-established Montessori educational system where the children are given the opportunity to learn different skills naturally. The address of the school is “856 Brighton Ave, Portland, ME 04102, USA”. These are some of the Montessori schools where you can send your child as a resident of USA. All these schools are perfect specimens of quality education and facilities.